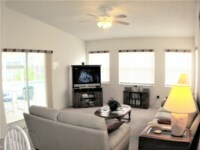 3 bedroom, 2 bathroom villa in the Lindfields community. Owned by Martin & Sue Smith. Ref: 949. Primrose Villa – Newly updated throughout with new porcelain tile floors, smooth topped range, double-door fridge-freezer, flat-screen TVs. 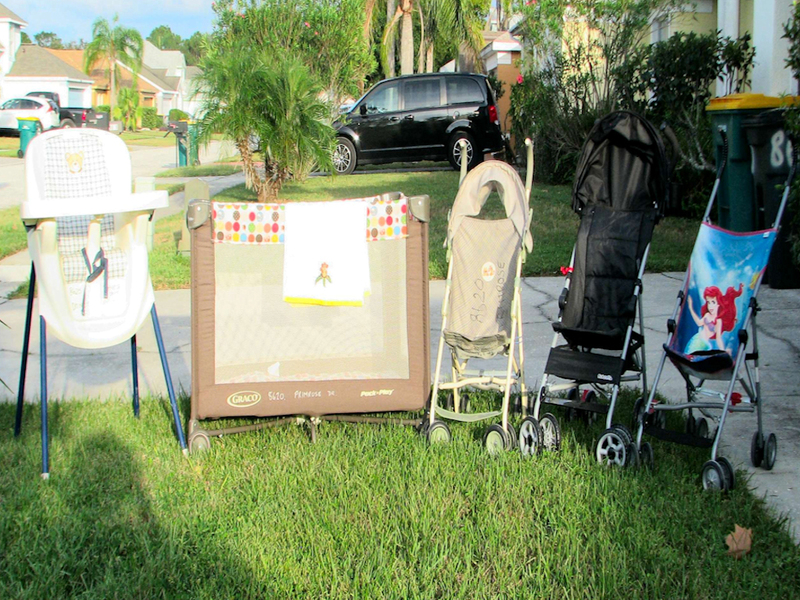 Our rentals INCLUDE FREE crib (cot)- strollers (pushchairs) - high chair - gas barbeque - ALL 'phone calls (including international) - broadband wireless internet - PC with printer & CD/DVD writer & a secure digital safe. Make yourself at home in our generously sized (1780 sq ft) modern, attractive and airy villa situated on a large plot in a well-established quiet area with wide avenues and a comfortable mix of residential & holiday homes. 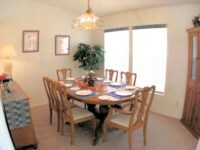 Conveniently placed only 4.5 miles from Disney & 1.5 miles to the myriad shops & restaurants on the 192...! Four Hi-def. widescreen TVs, DVD players with a wide selection of films on DVD for all ages. 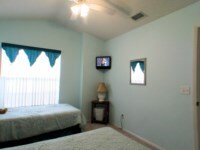 Digital cable TVs in all bedrooms. WiFi high speed broadband internet access. Bring your own laptop / pad / phone or use our Windows 10 PC with CD/DVD writer & printer. The oversized 30 x 15 SOUTH-facing pool has LED colour-changeing lighting for that late evening dip and is enclosed by a fully screened extended deck area incorporating a shady lanai with ceiling fan. The pool can be (optionally) heated during the cooler months. 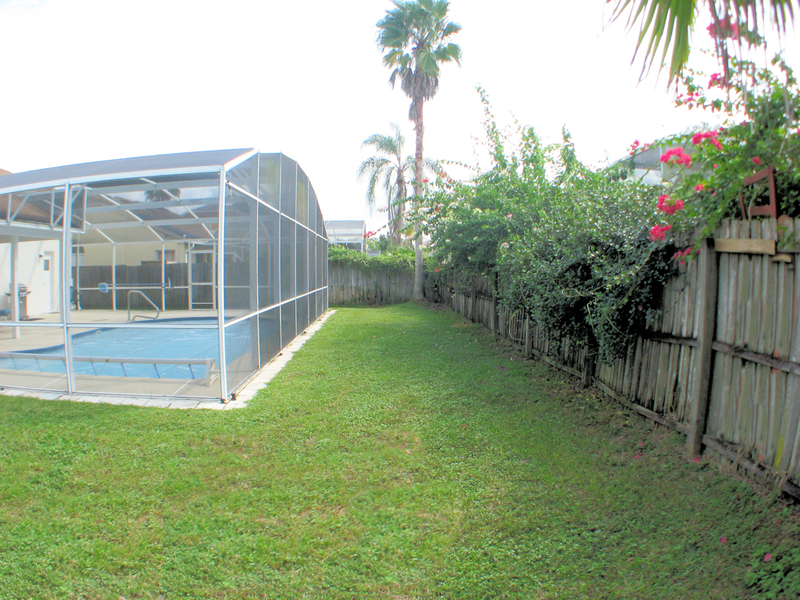 A lawned garden and a 6 ft. privacy fence surround the pool area so it cannot be overlooked. We provide a cot/crib,3 x strollers, nightlights and a high chair for your youngsters. 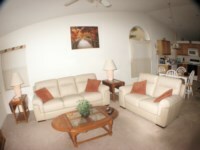 The villa is air conditioned throughout & has ceiling fans in the lounge, family room, all bedrooms & lanai. For your security we have an in-built digital safe and wired alarm system. We offer FREE WORLDWIDE 'phone calls. Primrose Villa is situated on the well established Lindfields development, conveniently sited about one-and-a-half miles from the 192 and 4.5 miles from Disney World Drive, yet in a quiet, peaceful mature backwater with very little traffic. It is much larger, brighter and airier than the average villa, haveing high cathedral ceilings throughout and over 1760 sq. ft. of air conditioned living space. It is licenced to sleep 8 people plus an infant. 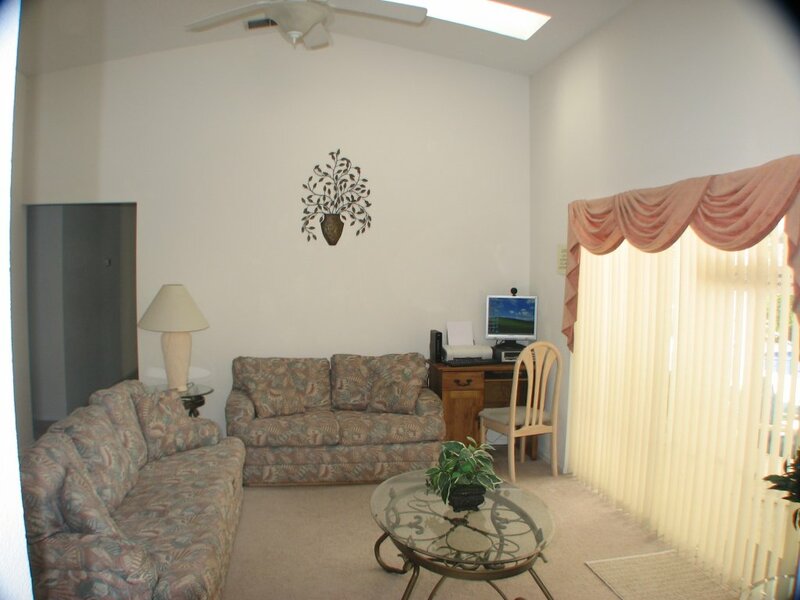 Our comfortable family room is deep-pile carpeted and has a matching leather loveseat and three-seater settee, side & coffee tables with lamps, a ceiling fan with lights and convenient patio doors opening onto the fully screened pool area. For your entertainment, it has a digital cable-connected 37 inch widescreen high definition LCD TV, multi-region upconverting DVD player, radio / CD player with IPod dock, a small library with a selection of books including a few local guides and a very wide selection of family-oriented films on DVD. Our separate carpeted lounge has a loveseat and a triple seater settee (which can become a queen-sized bed if required), skylights, a ceiling fan with light, coffee & side tables with mood lighting, dimmable standard lamp, patio doors opening onto the pool area and a small workstation with a Windows 10 high speed broadband-connected PC with printer and CD / DVD writer should you wish to safely archive your digital 'photos. We provide very fast 130Mb/S. broadband internet connection with both WiFi (wireless) and secure wired network access should you want to connect to the internet with your own tablet, 'phone or laptop. The Master bedroom has a Queen (U.K. King) sized bed, dressing table with vanity mirror, 5 drawer chest, an armoir containing a 40 inch widescreen LED digital cable-TV with DVD player, ceiling fan, bedside cabinets with 'phone, lamps & clock-radio. Patio doors open out onto the pool area. Off the room is a walk in closet (wardrobe) with built-in electronic digital safe. 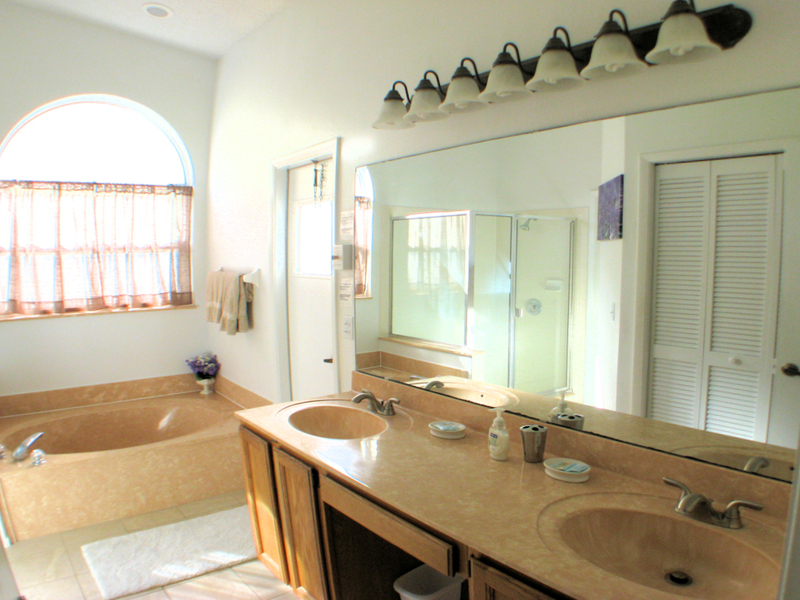 An en-suite bathroom has his 'n hers hand basins in a vanity unit, a large walk-in shower cubicle, separate Roman bathtub, medicine cabinet, loads of drawer space, separate private W.C. & a hair dryer. For convenience, the bathroom has direct (wet) access to the pool deck. The second (cream) bedroom has twin beds, a walk-in closet, 27 inch LCD widescreen Hi-definition digital cable TV with upconverting DVD player, ceiling fan a bedside table with 'phone, lamp & clock-radio. Our third (blue) bedroom again has twin beds, a wall-mounted 24 inch LCD widescreen cable TV (so tinies can't reach it - just take away the remote control at bed time ! 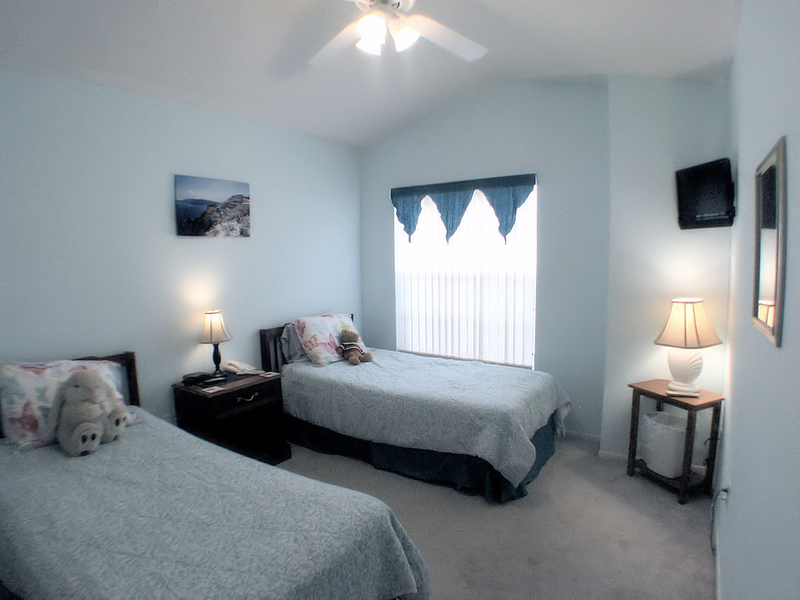 ), ceiling fan, walk in closet and a bedside table with lamp, 'phone & clock-radio. 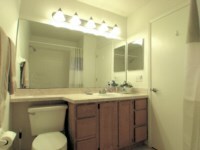 The second and third bedrooms share a connecting bathroom with shower-over-bath, single hand basin in a vanity unit, medicine cabinet, W.C. & a hair dryer. 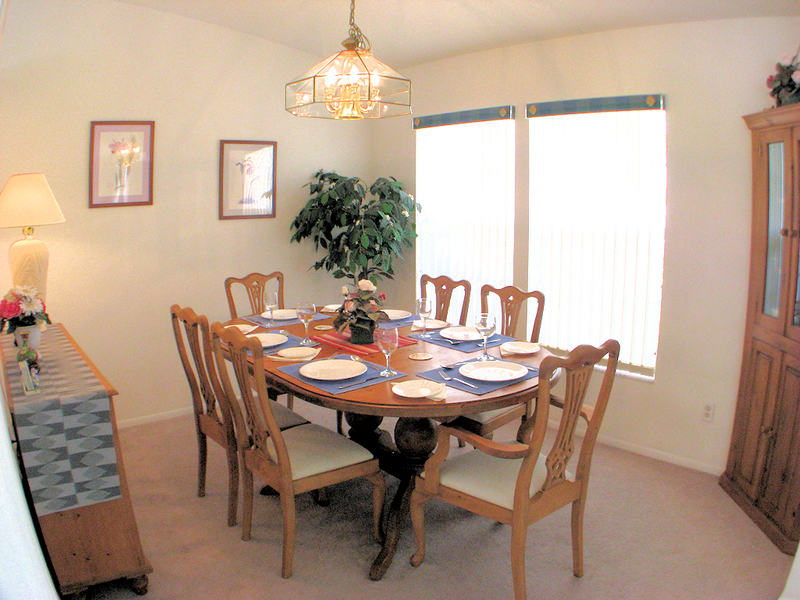 The villa, unusually, has a separate dining room which seats 6 for those family meals. It is next to the fully equipped kitchen with dishwasher, over-range microwave, fridge / freezer with on-door ice & water, full range glass-topped range, toaster, liquidizer, coffee maker, teapot & etc....with a breakfast table for 4. To keep smaller guests happy and secure, a crib / playpen, high chair, 3 strollers, nightlights and lots of cuddly soft toys are provided. Quiet updated central air conditioning is, of course, fitted. The villa has a separate laundry area with full sized American-style washer, dryer and ironing facilities. All bed linen, hand, bath & poolside towels are provided. The villas' outstanding feature is its stunning, totally private, oversized screened pool deck which faces due SOUTH to guarantee you all-day sun. 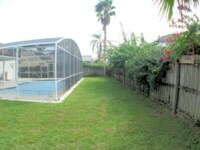 Set within a large plot, looking out on hibiscus, bouganvilla and honeysuckle, it includes a large (12' x 24') lanai with ceiling fan and lights giving you the option of sun or breezy shade. 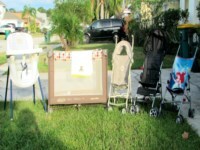 Al-fresco meals are a delight, a table & chairs plus the gas barbeque allow you to enjoy out-door living Florida style within a large sceened area devoid of insects !!! A new (2016) stainless steel gas B.B.Q. and a selection of pool toys are provided free for your pleasure! 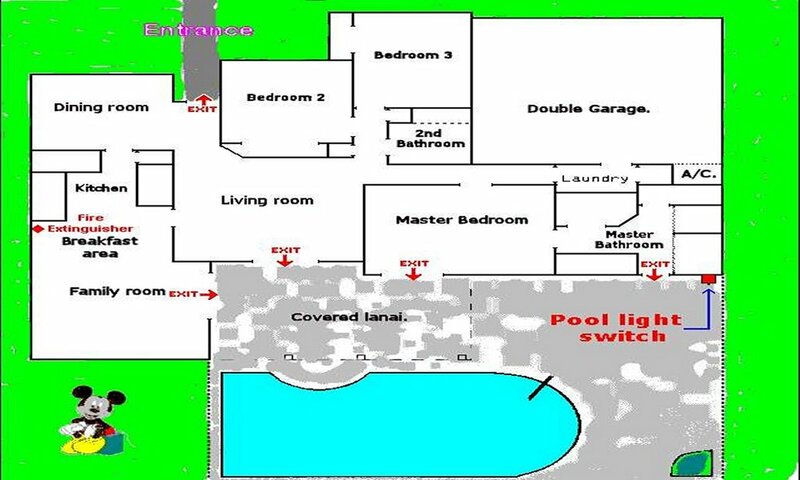 The villa is fitted with an integral alarm system plus all pool doors are separately alarmed as required by the licencing authority. Complimentary (free) use of digital safe, gas barbeque, crib (cot), strollesr (pushchair), high chair, local, national & international 'phone calls and broadband wi-fi internet are all included..
Now on to our stay in your villa. I speak for all of us when I say we had a fantastic time in your home. The extended pool area was brilliant and we enjoyed many an afternoon having a BBQ and relaxing. Everything we needed was in your home and there is nothing that I can think of that we could fault with your home. The internet connection is another great idea as it meant we could keep in touch with people back home as well as the safe. Well just a quick note to Thank you for the use of your brilliant villa. We had a fantastic time and really enjoyed your home. The way you were able to get the pool heating fixed so quick really made our second week as even the two wimps in the family were able to enjoy it :-) The worst bit is now the traveling home as we have to fly to Manchester then a 4 hour wait till our flight to Dublin and then a 2 hour car journey :-( I should have booked another day in your villa so we could have relaxed before our flights, we will know the next time. Again many thanks to you and your family and hope to stay in your home again some day soon. Sorry about the delay in mailing you, we have had hectic time since we got back from America, and hence the delay in contacting you. We all had a great time, and would like to thank you for the use of your villa which we liked very much, had everything we could have wished for, and surpassed our expectations. Thank you also for returning the deposit to us so promptly. If, or should I say when, we go back to Orlando we will most definitely be in touch with you again. The instructions to the villa were first class, especially useful as our flight was delayed. The other information was also very helpful. Just a quick email to let you know how much we enjoyed your home. It was wonderful & we didn't want to leave. We usually visit Florida every other year and will certainly try to book with you again. We even have had a few people we know inquiring about how to rent your home. Thank you very much for the opportunity to rent such a great house! Having spent two weeks in Martin & Sue's villa over Christmas I have to say what a fantastic time we had there. The villa is very big for a 3 bedroom and the extended pool area is superb. I would highly recommended this villa to anyone thinking of going. It is very clean ,bright and everything you need is provided for you. The location is also perfect. The service we had from Martin and Sue was first class. We had a problem with the pool heat and even though it was Christmas they had someone out to fix it within a day or two. And to round it all of we have received out security deposit back just 3 days after returning home. Once again thanks to Martin and Sue for the use of their beautiful home and for anyone thinking of going here then get it booked as you will not be disappointed. Hi Martin & Sue, Many thanks for letting us stay in your Villa, it was fantastic, the changes you made for this year only made our stay even better. We will be coming back next August, when I have sorted out dates with my Daughter I will be in contact with you to hire your villa. Once again thanks. I want to thank you for the wonderful time we had at your vacation home. The weather was great, the pool was great and we just thoroughly relaxed. All of your short cuts and driving tips were very helpful. Thank you for taking so much time with those. We have been telling everyone in Michigan (lots of snow, single digits temperatures) how great your house is, too. You have a wonderful, comfortable home and we truly enjoyed ourselves. I hope we will be able to come back sometime soon. We have enjoyed our stay (as we always do) but we would like to mention some plus points regarding your villa that would tempt us back (if we can ever afford it again). First the south facing pool area allows us to enjoy the early morning and late evening sun which for us UK folk is more bearable than the mid day sun. The pool size and shape is good (had 30 foot long NARROW pools before) and the size of the decking area is great. The privacy is also a bonus. Second the internet access is a first for us and being able to check opening times, routes etc etc is great along with the ability to e:mail friends and family and of course yourselves should any problems occur. Third the safe because I hate travelers cheques and using credit cards abroad - much prefer cash. Previous safes have had access codes known by others e.g. the management company so the facility to program your own numeric code is good (that is of course assuming you are the only person that would be able to override the code should we have forgotten it??). So thanks very much for the use of your villa - we'll start saving up as soon as we get home!!!. Cheers. Thank you for the use of your Villa just last week, seems a life time ago when it is 4 degrees outside. We have been to Florida 7 times and always stay at Lindfields I would like to say out of all the villas we have stayed in yours is the only one I would go back to time and time again. 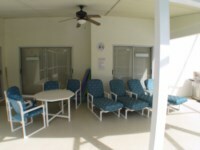 The pool area is fantastic for relaxing and enjoying the hot Florida sun. So hopefully all being well we might see you next year. Thanks once again. Thanks very much for another wonderful vacation. The house and pool were just wonderful – our girls had a fabulous time in your pool. Our little one went from clinging nervously to me to jumping off the side in her armbands in the course of 3 days and the older one is very close to swimming by herself (she just turned 4 so we are pretty proud of that!) ~ The house looked very clean and freshly painted and we loved the television and new sofas.~ Thank you once again for a really great holiday. We hope to be back next year. Hello Martin and Sue, I'd like to thank you for the wonderful stay we had at your home. Everything we needed and more was in the home. The information you provided us was beyond helpful! From directions to the nearest pharmacy to the alarm system tips. There is nothing I can think of that will improve your home. Its amazing!!!!!! We took tons of pictures and I'm so excited to share them with my family, friends and coworkers! The pool was so much fun! My two boys wanted to skip the theme parks and swim in the pool instead! They had a blast. The home was very easy to get to and from all the attractions and stores. The house was very clean and organized. Naomi at Excel management was prompt and kind. I had no problems at all. Thank you for making our vacation one to remember forever!. We hope to visit again in the winter. Widescreen HD digital cable TV with DVD player in our family room. Widescreen digital cable TV + DVD player in Master bedroom. 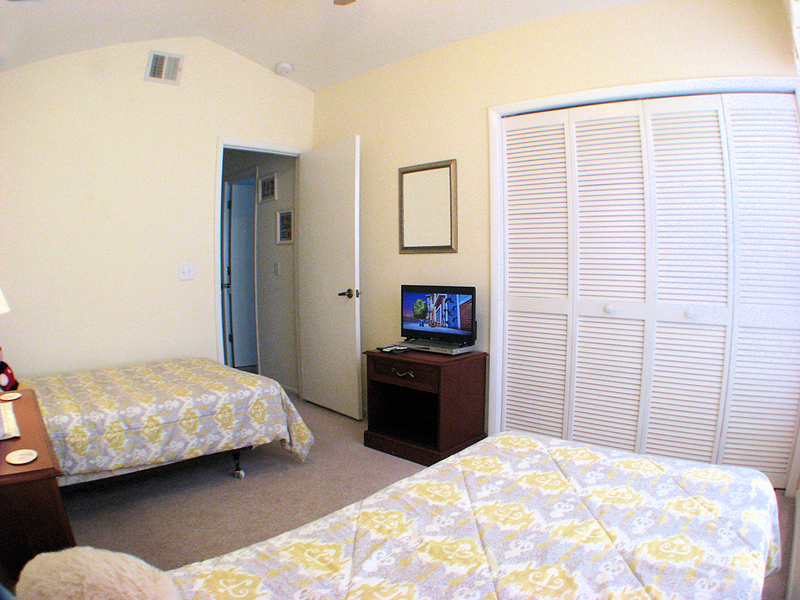 Widescreen HD cable TV + DVD player in 2nd bedroom. Large library of family friendly films on DVD. High-speed broadband WiFi internet connection. Windows 10 PC with printer & CD/DVD writer. Pool heating is £85 ($135) per week - only recommended between November & March. We offer a discount to guests wishing to stay for 2 weeks or longer - please contact us !! Average rating: 5.0 / 5 from 14 reviews. Very good rental experience. Responsive owner, nice clean property, no issues at all. 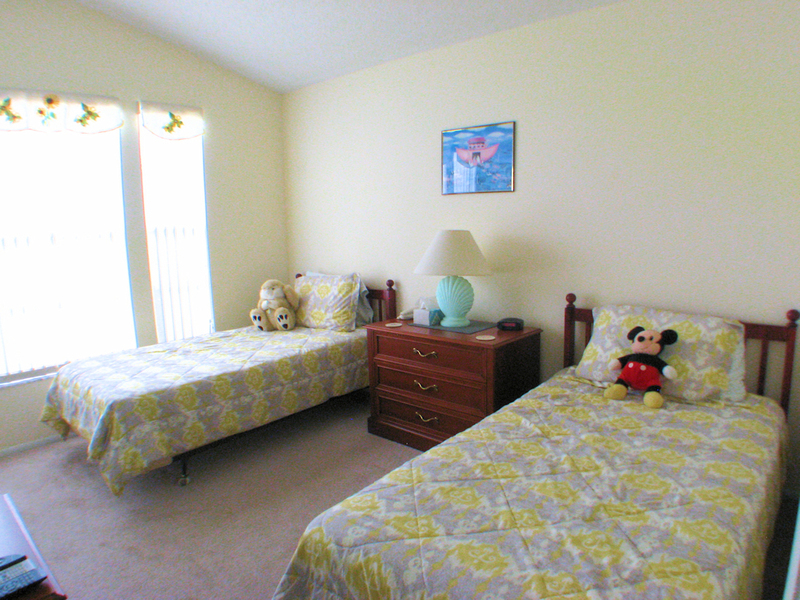 The Villa is very convenient for Disney and shops etc. Would definitely stay here again. The house was everything we hoped for and more for our holiday the beds were very comfortable and the villa was spotless the AC kept us cool in the heat, we all loved the pool which got plenty of use in the evenings after being at the parks which were only a few minutes away and plenty of shops and restaurants nearby. Thank you again for making it a memorable holiday. It is a nice place and so beautiful. 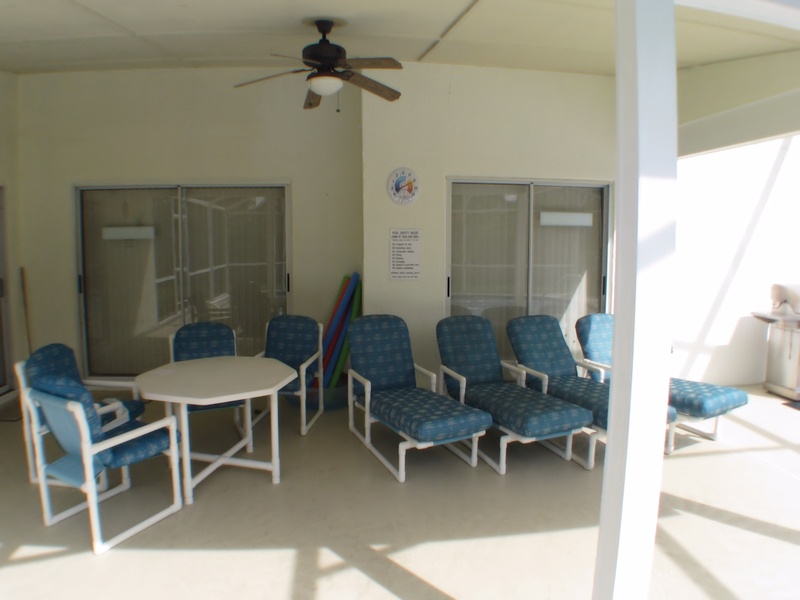 Excellent facilities and located near all the parks. Second stay at Martin and Sue's villa for us (couple with teenage son). You can't fault return business. Very handy for Disney Parks, 192 and I4 access to get to further afield places like Kennedy, Universal and Busch Gardens. Also easy access to supermarkets (Publix and Walmart) and Chemists (Walgreens), Wide variety of restaurants and takeaways nearby. 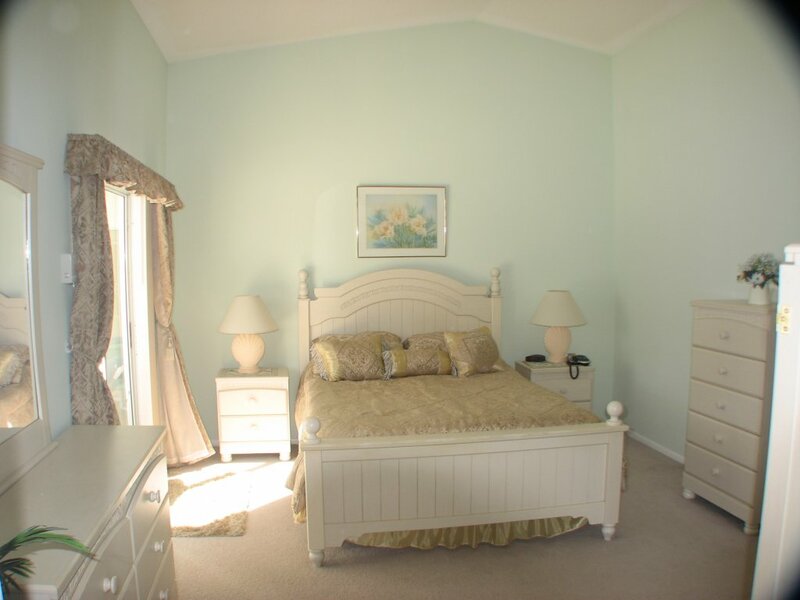 Villa is well appointed with a large master bedroom and two twin rooms. Ideal for teenagers to have their own room and bathroom. Martin and Sue are a pleasure to deal with. Respond very promptly to emails and queries. No hesitation in recommending this villa to others. 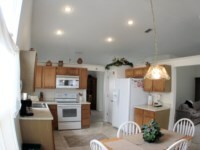 Owner's response: Glad you enjoyed our home - hope to 'see' you again sometime !!!! Thank you for letting us rent your villa. We had everything we needed and even things we didn’t know we needed. I will be sure to tell my friends about the wonderful experience and hope to get to rent from you in the future when my family visits Disney World again. Primrose Villa, Lindfields - FANTASTIC!! Just returned from a brilliant week staying in Primrose Vila, Lindfields. The villa was beautiful - very well equipped, clean and comfortable. The swimming pool was also amazing and our girls spent a large part of the holiday in it! Martin and Sue were very accommodating and responded almost immediately to any queries we had. Would definitely recommend the villa and hope to return! Owner's response: Thank you for staying 'with us', we appreciate your comments !!! Owner's response: Glad that you enjoyed our home & your vacation !! We had a great time, we really enjoyed the house. 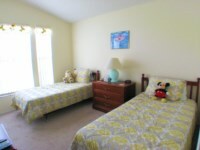 It is ver comfortable and spacious, very near all the disney and universal theme parks. We had a wide variety of restaurants and supermarket nearby ( 10 to 20 minutes by car). We really enjoyed ouselves. 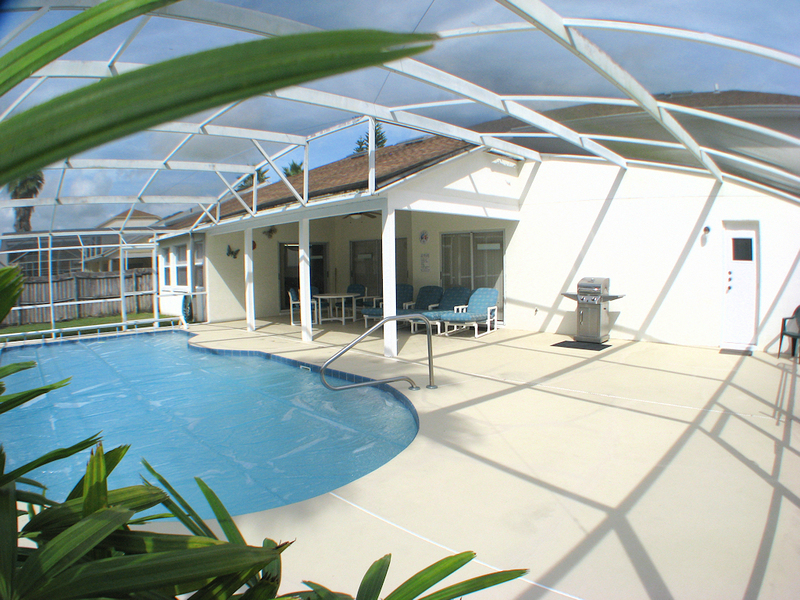 We had a fantastic stay at Primrose Villa, the pool area is fantastic and always in the sun. Everything you need is available for your stay. The pool area is brilliant, so much it tugs on you to stay in or hit the parks! Location is only a few miles from Disney property via the short cut on Sherberth Road, Animal Kingdom can be done in 15 mins. All of the rooms are airy and comfortable for your needs. There is a huge well stocked DVD collection which the kids loved. The owner is very attentive to your needs and provides superb communication before your travel to ensure your stay is as smooth as possible. All in all a great stay and we would not think twice about staying again. It's 5 stars from me! We had a great time staying at your villa in Orlando. For anyone spending most of their time at Disney the location is perfect – 10-15 mins drive to Disney parks, 10-15 mins drive to supermarkets etc. The house is clean with loads of space, and my kids loved everything about it – especially the size of your pool. There were so many things about your villa that helped us enjoy our time there – the choice of DVDs for ‘chill out time’, the PC/printer in the middle room, all the utensils etc in the kitchen etc. 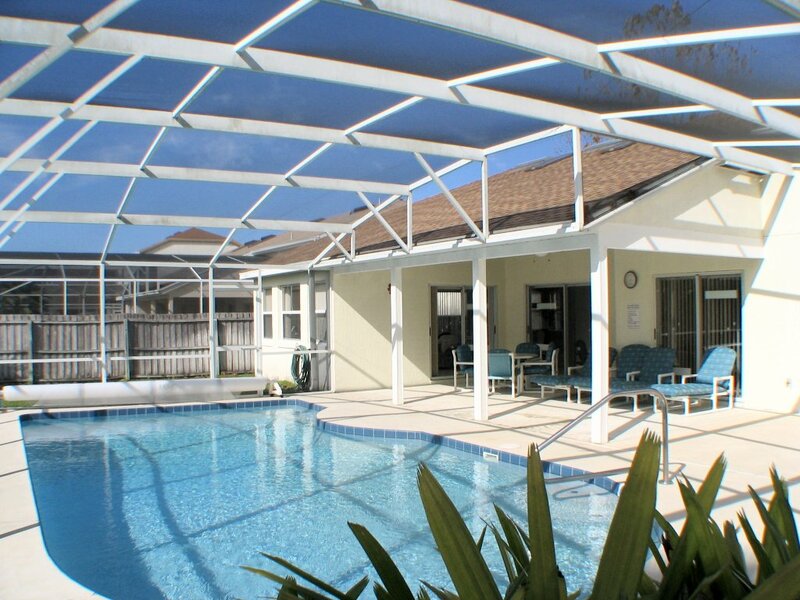 If we’re going to visit Orlando again, the first thing we’ll do is try and book this villa. We loved it, and it was great dealing with you. We enjoyed a week in this lovely villa. Big nice house with lots of space. But the best thing was the patio, with the big pool. South-facing and closed with a fence that made it almost undisturbed, amazing. Primrose Villa - great holiday! 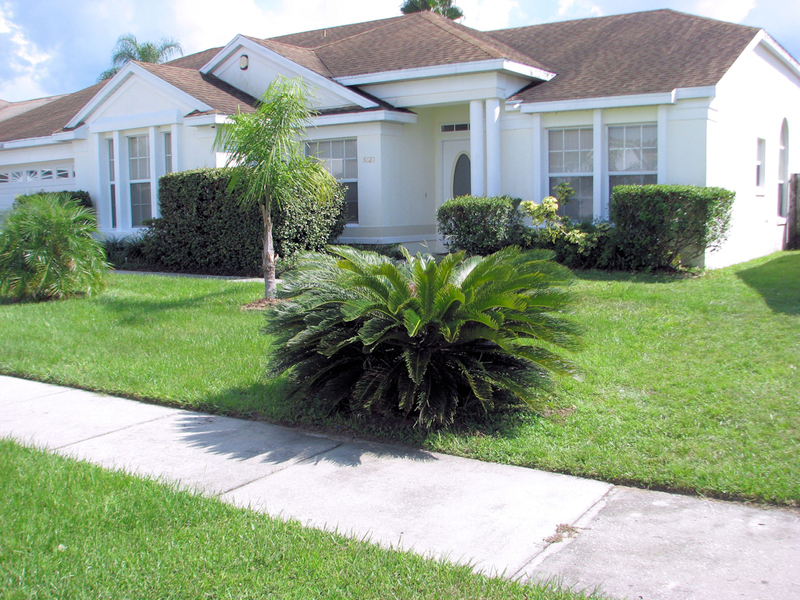 Very comfortable villa, well equipped and furnished - perfect base for an Orlando holiday. Large swimming pool, plenty of space on the deck to sunbathe and enjoy the Floridian sunshine, highly recommend! Your enquiry will be sent to villa ref 949 only. This page has been viewed 76644 times since 06 Oct 2003.